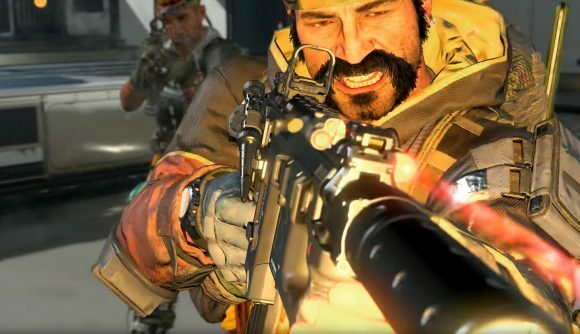 We all know the current console generation is winding down, but the next could start as soon as next year, according to a recent job posting by Call of Duty developer Infinity Ward. “Come work with the game industry’s brightest on an exciting, unannounced next gen title,” the posting reads. Given that Call of Duty is an annual series, and it’s Infinity Ward’s ‘turn’ next, we could be seeing new consoles as early as next year. Sony and Microsoft have been fairly silent about what their next generation of hardware will look like, but there have been hints here and there. In a recent interview with the UK’s Financial Times (paywall), Sony president Kenichiro Yoshida said “at this point, what I can say is it’s necessary to have a next-generation hardware.” This comes after Microsoft’s E3 2018 presentation, where Xbox boss Phil Spencer confirmed the company is “deep into architecting” multiple next-gen consoles. What does all this mean for PC? Given that CD Projekt Red has said Cyberpunk 2077 will target the current console generation, it’s yet another sign that it could be upon us very soon. And, since the next gen will continue to look similar to PCs under the hood, we can hopefully look forward to another generation of decent ports. That said, cloud functionality looks set to figure in the next consoles pretty heavily. With Google stepping into the ring with Project Stream, and Microsoft announcing its Project xCloud, we could be seeing a decline in the need for high-end PC hardware. You can check out Infinity Ward’s job posting on LinkedIn here (via SegmentNext). The winding down of this console generation brings with it a slew of speculation, but until something concrete is announced speculation is what it will remain. Still, it’s fun to imagine what new tech is on the horizon.